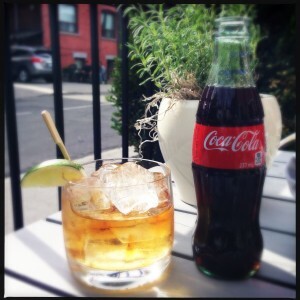 After a long hard winter, summer has finally arrived and patio season has officially begun. Hudson Kitchen is ready to shed its winter guise and bust out their barbeque season menu. Holding a tasting, the restaurant also brought out its secret weapon, mixologist Jay Meyers to formulate some unique blends of cocktails to the mix, getting this patio party started with a bang. Located in the underrated but growing Dundas West neighbourhood, Hudson Kitchen is expanding its flavour profiles for their summer menu. We had a chance to try some of its seasonal delights, conceived by Chef Robbie Hojilla. Serving up an endless flow of tapas sized snack specials, we had the pleasure of enjoying a wide variety of dishes ranging from the humble Mackerel Escabeche to the surprising vegetarian hit, Grilled Cauliflower (a mix of savoury cauliflower, capers, plump raisins and crunchy almonds). The food at Hudson Kitchen is classic North American fare infused with Asian and European influences, elevated to a level of originality and sophistication unmatched by most casual dining resto-bars that popped up in recent years. The perfectly cooked Filipino Fried Chicken on Brioche and the ever-so-light Spanish Squid Ink Croquettes exemplify this. 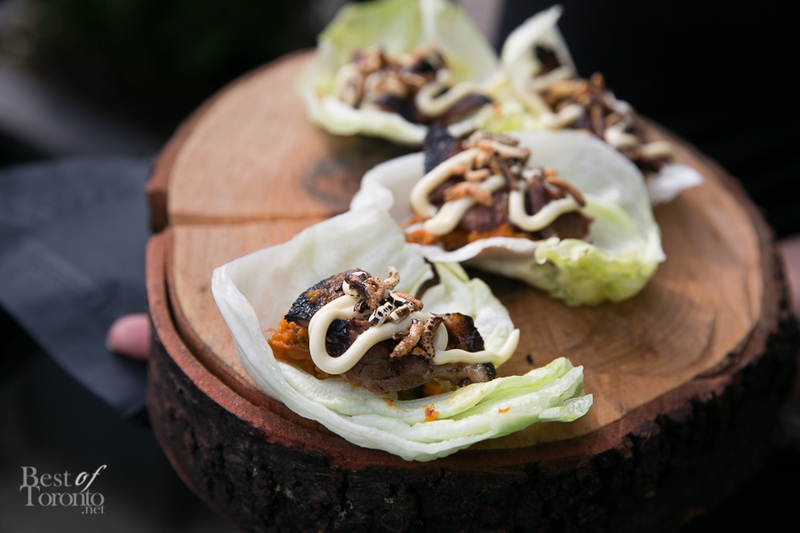 Not afraid to take on collaborations, the homemade kimchi in the Beef Short Rib Lettuce Wraps was supplied by Hudson Kitchen’s friends at Odd Seoul. 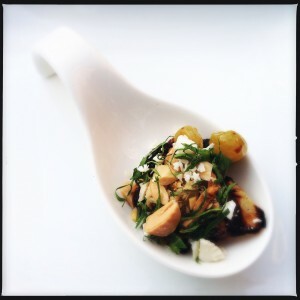 Hudson Kitchen also prides itself on sourcing local ingredients, and you can certainly taste the quality in their dishes. Like its food, the cocktails at Hudson Kitchen have a personality of their own. Masterminded by Head Bartender Jay Meyers, his concoctions are bold, playful, and always original. Holding a winning title at the recent Made with Love Toronto competition (with his What Would Monty Do), Meyers did not disappoint when he set up make-it-yourself drink stations for everyone to savour. Geekily titled Plants vs. Zombies, this tiki-inspired customizable drink included a potent blend of “overproof” rum, Beefeater, and absinthe, infused with Beachcomber Mix, and ginger beer. We were free to mix this dangerous brew with beer to our desired strength, and garnish it with dill (hence the “Plants”). Known to combine sweet and savoury flavours, Meyers’ cocktails will seduce you with refreshing island aromas and hit you with a punch of audacity in taste. 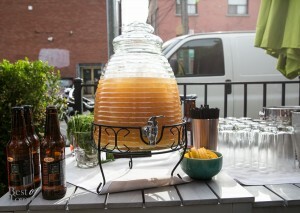 Quality of ingredients is also the motto for drinks at Hudson Kitchen. Take Rhu the Day for example; with a splash of gin, rhubarb liquor, and a touch of tarragon, the rhubarb syrup/liquor is made in-house. My personal favourite had to have been the tongue-in-cheek Maxed Out Rum and Coke (with optional Coke) – a bottle of Coke was sarcastically served along side a tumbler of aged rum on ice. 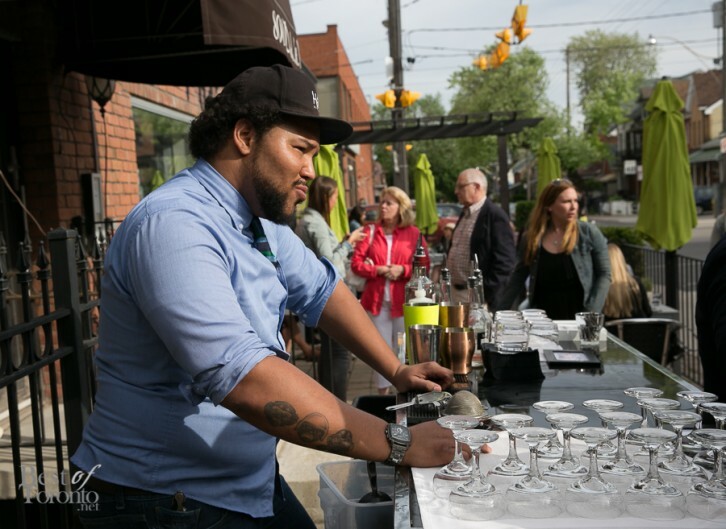 Enjoying our bites and libations while sitting in Hudson’s outdoor patio, the 800 square foot space has enough room for everyone to indulge and mingle. A progressive American dining experience, and distinctive flavours to boost, it’s always a culinary adventure for those who frequent Hudson Kitchen.